1. You must pay for a permit for any overnight trips into the Enchantments between June 15 and October 15. Due to the overwhelming popularity of the area, these permits are limited. For more information visit the USDA Forest Service. 2. In order to park at the trailheads that give you access to the core Enchantments, you must have a Northwest Forest Pass. We purchased ours at REI on our way out of town. An annual pass is $30. 3. If more overall elevation gain but a slower pace sounds like your thing, start at the Snow Lake trailhead to enter the Enchantments. If less overall elevation gain but an intense pace sounds better, then start at the Stuart Lake trailhead (this is the most popular route). 4. It's pretty unanimous that backpacking the Enchantments has a high difficulty rating. Sure, there will be a few of you who think it's just another standard day on the trail, but regardless of who you are, do yourself a favor and pack as lightly as possible. 5. Keep in mind that the trail through the Enchantments is not a loop. If you intend to hike through it you will need a car at either end, a pickup plan, or a desire to hitchhike. 6. Because of the goat situation use the outhouses when possible. If not possible don't urinate near the trail in order to avoid leaving salt concentrates that may lure goats onto the trail. You can watch an official biologist and ranger led "Hiking Safely With Mountain Goats" video here. 7. Expect lingering snow as late as July and be prepared for early snow storms in Autumn. 8. General trail regulations: campfires are never allowed, camp in an established campsite, don't feed any animals, and keep your own food secure. There are not actually any specific food storage regulations for the Enchantments, so we decided not to carry our bear canister to reduce weight as bears are not a big issue in this area. 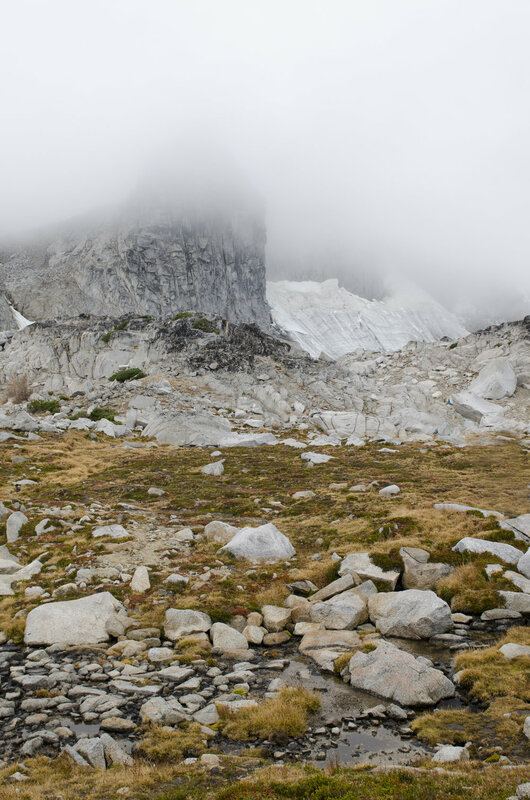 However, goats and marmots have been known to tear into people's packs to get at food so we stowed ours away from camp under some rocks (no trees present for hanging food in the Upper Enchantments). Also, we thought it might be pretty hard to find an available established campsite but sites were quite numerous. Of course, this was helped by the fact that the Upper Enchantments (where we camped) is practically a moonscape allowing campsites free of vegetation to spring up everywhere. Unfortunately, we are unable to speak to the number of established campsites in the Lower Enchantments since we didn't have time to go there. 9. Water is plentiful so don't try to carry your entire supply. Carry a water filter instead. 10. 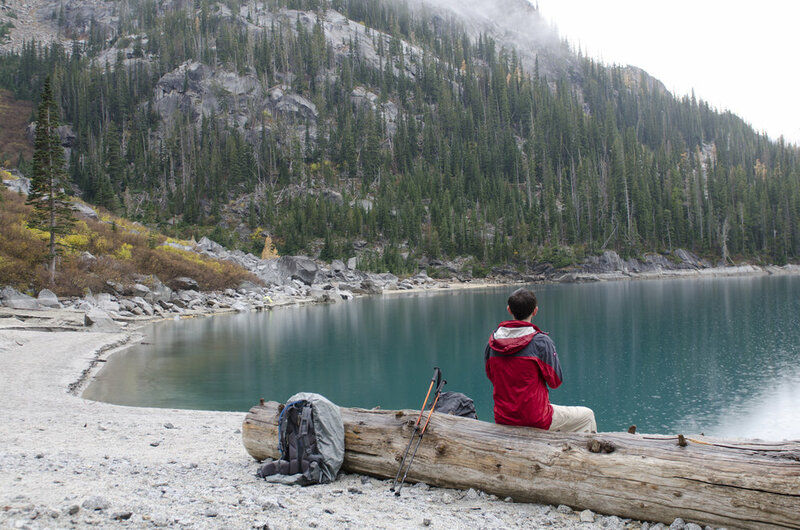 For excellent information on the Enchantments, with everything from trail and lake descriptions to mileage and elevation information, visit the Washington Trails Association.